“Griffin Electrical Contractors was launched by myself in 1984 after having completed a 5 year apprenticeship with Crown House Engineering Ltd, and achieved a full membership with the NICEIC (National Inspection Council for Electrical Installation Contracting) in 1986 and continue to proudly maintain that membership today. 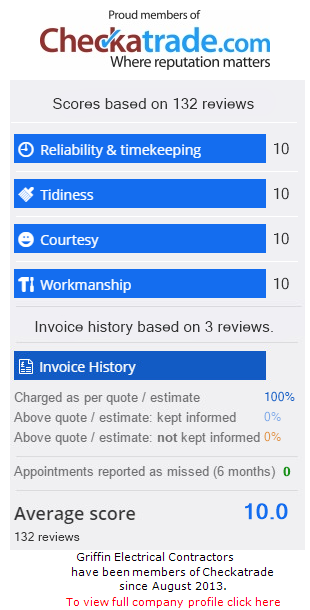 Over the last 35 years we have worked hard to build up a reputable and reliable reputation, not only in Bristol, but in the surrounding area, gaining a solid client base in both domestic and commercial areas. We provide a personal service and take pride in ensuring all our clients are completely satisfied with any work carried out.